It has been a big news week. And I already digressed into the area of moral theology and civility to comment on one of the rulings by the U.S. Supreme Court this week, i am not speaking of the rest (though, as a Catholic Christian, i believe universal access health care is a good, and capital punishment is not, so it was a pretty mixed bag all around). Ecumenically, there have been a few interesting developments. The General Synod of the United Church of Christ (USA) unanimously approved a full communion agreement with the United Church of Canada yesterday. The UCC and the UCC are both ‘united and uniting’ churches, themselves the products of previous ecumenical reunion efforts. The UCC (USA) already has similar agreements with the Christian Church (Disciples of Christ), the Union of Evangelical (read:Lutheran) Churches in Germany, the Presbyterian Church (USA), the Reformed Church in America, and the Evangelical Lutheran Church in America. 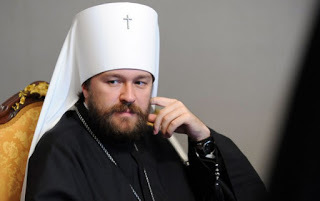 Two days ago, the Corriere della Sera published an interview with Metropolitan Hilarion Alfeyev, the head of external relations for the Moscow Patriarchate. He is quoted as saying that a meeting between Patriarch Kiril and Pope Francis “is getting closer every day”. Though this is his boilerplate response when asked about a meeting between the head of the largest Orthodox church with the bishop of Rome, he alluded that it was actually on the agenda – though no date is set, and it would certainly be in a ‘neutral’ location like the Austro-Hungarian Empire Austria or Hungary. This meeting has been in discussion for 20 years, since the intended meeting between Alexy II and John Paul II was cancelled at the last minute. And of course there was the annual delegation from the Phanar to the Vatican on the patronal feast of Rome, Sts. Paul and Peter. Leading the delegation this year was Metropolitan John (Zizioulas) of Pergamon, who was also part of the panel presentation of the environmental encyclical Laudato Si. He and Metropolitan Hilarion were both in Rome this week as part of the drafting committee of a statement, “Towards the Understanding of Synodality and Primacy in the Church of the First Millennium” by the International Commission for Theological Dialogue between the Orthodox and Catholic Churches. Probably the most interesting, and potentially most dramatic, however, was the proposal of Patriarch Raphael I (Louis Sako) of Bablyon, head of the Chaldean Catholic Church, who proposed a plan for a united Church of the East that would entail his own resignation. The schism between the Church of the East and the rest of the orthodox Christian world is the oldest surviving division in the Church, its origins dating back to the Council of Ephesus in 431 AD. It was the Christian Church in the Persian Empire, and has often (wrongly) been called Nestorian. Acknowledging that there is now brief way to do justice to the history of communion and schism between the Church of the East and the Catholic/Orthodox Church(es) in the last 1600 years, suffice it to say that what remains is a very small community based in Baghdad but effectively existing as a diaspora community, with its leaders often in Exile. 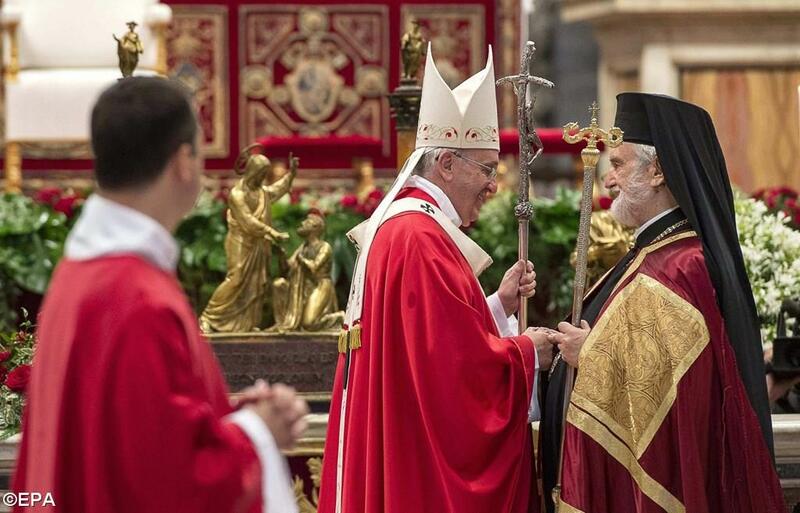 For the last three decades, there have been very successful ecumenical dialogue between the Catholic Church and the Assyrian Church of the East, resulting in a Joint Christological Declaration in 1996, resolving the theological issue that had divided the churches of Rome and Persia back in the 5th century. Ten years later an agreement on sacraments was reached but not promulgated due to some internal issues. The only remaining issue holding back full communion was that of common ecclesiastical governance, and this is what Patriarch Raphael of the Chaldean Catholic Church has proposed to resolve now, if he and Patriarch Addy II both resign, and the bishops of all three churches come together to elect a single Catholicos-Patriarch. By A.J. Boyd in Eastern Churches, Theology and Ecumenism on June 30, 2015 .